If you are thinking about buying a home, you may be entering into one of the most expensive purchases of your life and likely have many questions. The experienced Boston real estate lawyers at Pulgini & Norton may be able to represent you during this complex process. As a starting point, here are some answers to common questions that home buyers often want to resolve. You can obtain mortgage pre-qualifications from potential lenders to find out what your buying power is. A mortgage pre-qualification estimates how much a lender is willing to let you borrow, based on your financial circumstances, including your income, your debt, and your creditor report. Most buyers are qualified only up to a certain amount. In contrast to a mortgage pre-qualification, a mortgage pre-approval letter is a written commitment by a lender after looking at your income, employment, and other factors related to credit. You can obtain a pre-approval letter if you have identified an appropriate property, and there has been no change in your overall financial situation or creditworthiness before closing. The mortgage pre-approval letter implies that the lender is very likely to issue a mortgage commitment letter to you in the near future, and having this letter can positively influence your ability to buy from a seller. A closing attorney should conduct a comprehensive title examination. This means that the attorney will research title going back 50 years to make sure there are no defects, such as liens and other encumbrances on a parcel. This step of the home buying process is crucial. Many lenders will not loan money to a buyer unless the seller is able to present the buyer with good and marketable title, as shown through a title examination. Should I purchase title insurance for my new home? Many buyers assume that if a seller sells them property, they will have a right to use the property in whatever way they want, and there will not be any questions about who owns the property. However, in some cases, there is a break in the chain of title or unrecorded interests, or a title examination has not been completed. Lenders obtain title insurance for themselves in case there are problems down the line. 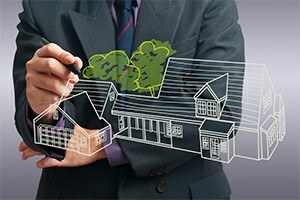 However, a buyer is not protected by the lender's title insurance and must obtain his or her own. Litigation to determine ownership interests can be expensive. Title insurance will protect a home buyer in case there are any defects in title that were not discovered before the sale. What kinds of promises can I expect a seller to make to me? In Massachusetts, the type of deed you get from the seller will determine the covenants or promises the seller has made to you. There are three types of deeds: quitclaim deeds, warranty deeds, and release deeds. Warranty deeds provide four promises to a buyer. The first promise is that the seller actually owns the real estate in fee simple and that the buyer will have absolute ownership of the property. The second promise is that there are no defects, liens, or encumbrances on the property that will limit your interest in the home, except any limits that are expressly stated in the deed. The third promise is that the grantor has the legal right to transfer the property to you. The fourth promise is that the seller will defend against any claims of ownership against you that arose during his or her period of ownership or even before that period. Quitclaim deeds provide more limited assurances, and release deeds simply transfer ownership and guarantee nothing. Should I get a home inspection before buying a home? Yes. It is critical to get a home inspection before buying a home. Private sellers have very limited disclosure duties in Massachusetts. Obtaining a home inspection will allow you to know whether there are any defective conditions, structural problems, or other issues that affect the value of the home or your ability to live in it. With a standard form Offer to Purchase, you will have several inspection-related contingencies, and you only have 5-10 days to complete the inspections. Your attorney can draft these contingencies to make sure that you have sufficient time to complete the inspections and negotiate on your behalf as to who has the responsibility to make repairs if problems are discovered during the home inspection. If the repairs are to be performed by a seller, the language of any written agreement should include that the repairs will be performed by licensed contractors, and evidence of repairs will be provided before closing. Our knowledgeable Boston real estate attorneys can assist with all aspects of a property transaction and answer your questions about buying a home. Our firm advises and represents buyers, sellers, associations, and lenders in Waltham, Malden, Medford, and many other Massachusetts cities. Contact us at 781-843-2200 or through our online form for a free consultation with a home buyer attorney.